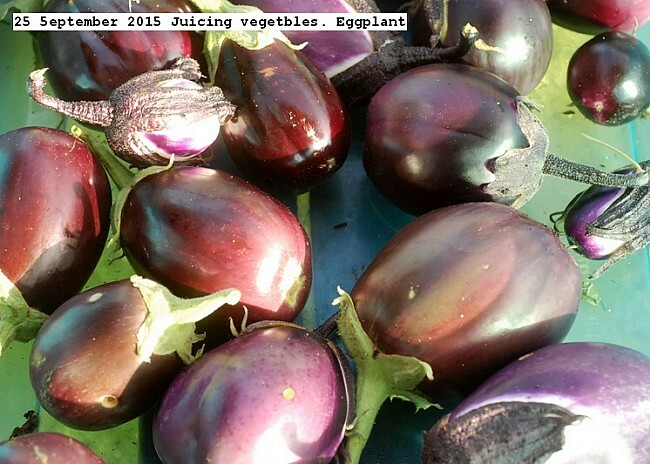 The last of the garden vegetables for 2015 were made into a seven vegetable juice. The vegetables were eggplant, peppers, celery, tomato, basil, dill and onion.Twenty eight liters of juice was obtained and was pressure canned at 15 PSI for 15 minutes.Pictures delineate the process. This entry was posted in Uncategorized and tagged Seven Vegetable Juice. Bookmark the permalink.